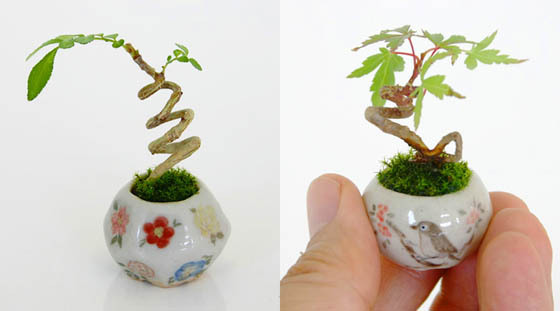 Bonsai is a Japanese art form using miniature trees grown in containers. 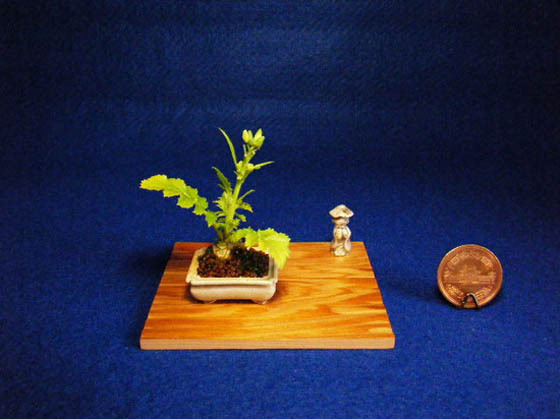 While in recent years, miniaturization trend of Bonsai has been going even further. 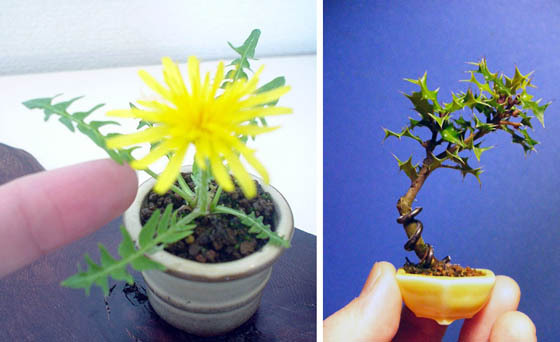 There is a new type of bonsai, called “cho-mini bonsai, or ultra-small bonsai”, which is less than 3cm in height. 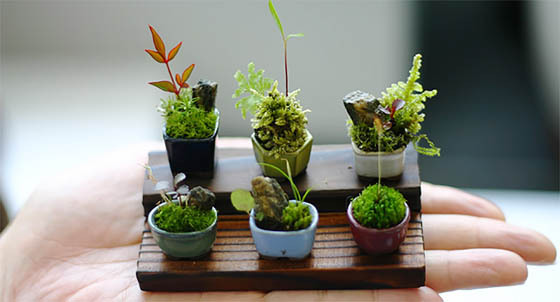 Due to its extreme tiny size, you can easily find a spot anywhere for this little greenery. 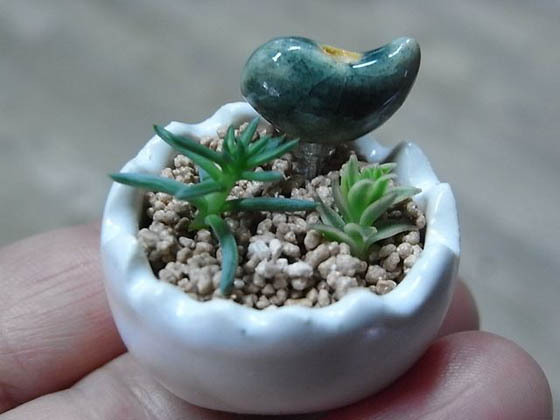 Of course, not all traditional bonsai species are appropriate for such small space. 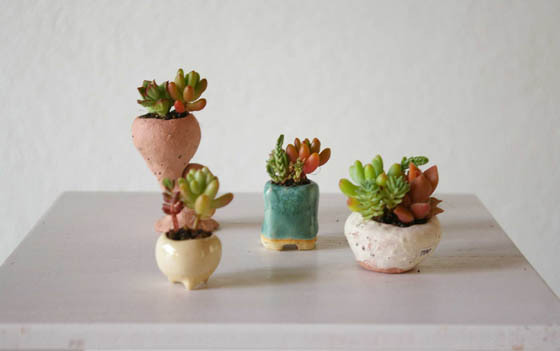 But a whole range of others seems well-suited to life in a thimble, including simple garden weeds. 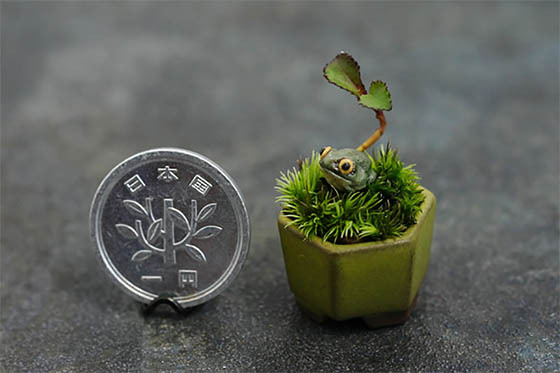 Would you like to have some tiny bonsai on your desk?